Ever since I've had a concept of what music I enjoy I've had an ongoing predicament: how do I listen to this music? I thought I'd give my two cents on what current equipment helps me to hear the good sound. 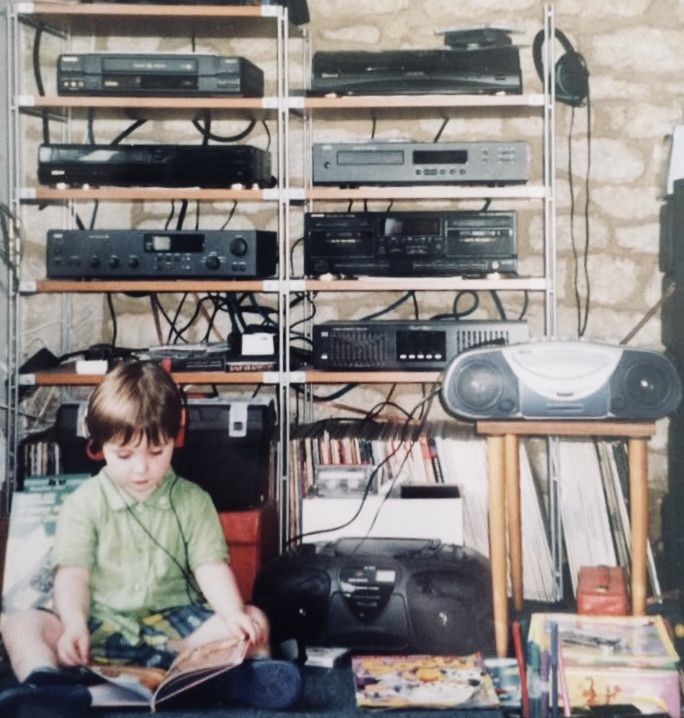 I was born in the mid-90s so my first personal listening experiences were via tape and those tiny headphones you can see me wearing. I obviously don't remember sound quality of these but there's definitely a reason they don't make them like that anymore. My earphone/headphone journey began mostly with JVC jelly in-ear earphones which I swore by for years and still probably would now for casual listeners. They were the most comfortable I could find, dead cheap and lasted me at least 4 years of school journeys. In 6th form I studied Music Tech so it was time to upgrade, and I used relatively basic Sennheisers (that they've now stopped making) throughout the two years. They did the job but I don't particularly rate them over anything else. Then I got a pair of Beats solo 2s with my mac (I miss student deals) and I didn't want to be that guy... but I definitely became a Beats user. I found those pretty comfy and they're still alive now so I respect how well they've lasted. Flashforward to about a month ago and I was shopping for some wireless headphones not just for convenience but... well really mostly convenience. Going wireless changed my life to the point where now I don't even like that I have to charge things with a wire. Why does my TV even need a power supply? Anyway, I went to the apple store and tried out a pair of Beats Studio 3s and honestly I was sold instantly. Not just the sound quality but the adaptive noise cancelling was a massive selling point for me. You're there with the music and not there with everyone else on the bus too. 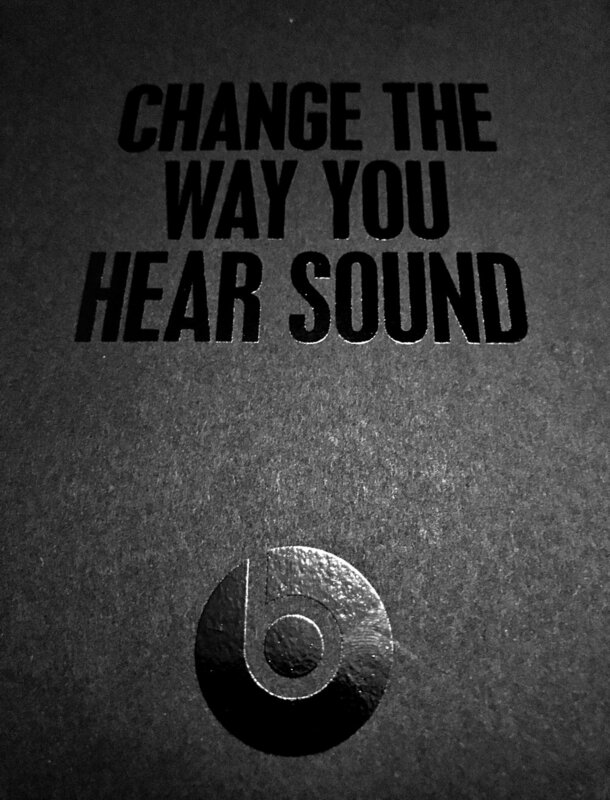 On the box it says 'change the way you hear sound' which makes it out like its one of a kind which it isn't necessarily, but there's certainly nothing wrong with them and I'd recommend them to anyone... as long as they were on sale! This is what I'm really here to talk about: Ultimate Ears and their range of bluetooth speakers (again, wireless is such a fab thing). I came across the UE Boom 2 thanks to a friend who uses his religiously. He always has it on him ready to go and we used it on a holiday in Greece where water, sand and the heat didn't phase it at all. Soon after that it was Prime day and I bought one for about the price they are now (a year later) and I used it regularly, even dropping it onto a hard floor from a 9ft height.... It came out of that ordeal with no dents and the music continued playing as if nothing had happened! This year on Prime day I upgraded to the UE Megaboom, with an extra 30hz of low-end and double the power. I'm sure I'll always be a strong advocate of the UE range. They changed the way I hear sound. UE have a vast range, from the small to the large (now with styles including Alexa voice control!) all decently priced for the quality and sheer durability of their products. I'm not sponsored in any way, I just believe that UE aren't necessarily first choice for people but it definitely should be on peoples radars.